God chooses the humble, and the humble receive from God. There must be something different about you, and that difference must be God dwelling within you. People must desire to follow you because of God whom dwells inside of you. Without God you’re a nobody. With God you become a somebody. Saul was a nobody the least amongst his tribe. Sure he was a tall and a handsome man, but that just wasn’t enough to be a king. In order for Saul to be a king he needed to first receive a touch from God, he needed a change of heart. Saul needed to encounter God. So God touched Saul, and gave him the gift of prophecy, and that was the difference. God captured the hearts of the people to embrace Saul through what He had placed inside of him. Few demonstrate the power, the gifts of God. The bible is more than a motivational speech. The bible is power, but in our generation we are not seeing very much of it. Many give motivational speeches, many give themselves, but few give The Word of God, and few demonstrate His power. 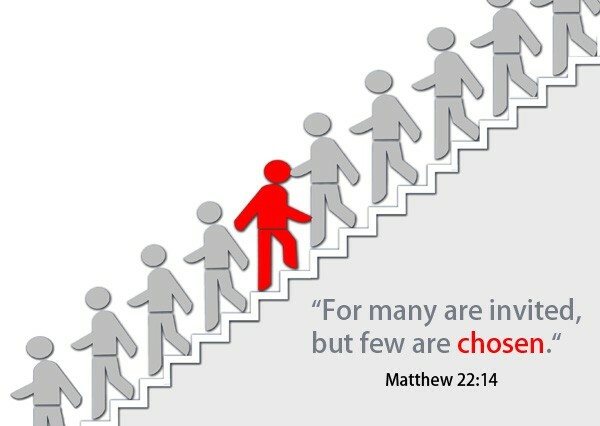 I don’t know about you, but I want to be among the few that are chosen. I don’t want to be amongst the many, and I don’t really want to try to fit in. It’s boring following the crowd, I want to follow God. In these last days many will give their own interpretations of the bible, but only few will just give you God’s raw and undiluted Word. There is only one faithful church amongst the seven churches in revelation, only one. Many are called but few are chosen, be discerning. Let me tell you about the few that are chosen by God, because the many that are called we all know them they are familiar, they are famous but we don’t see much of God. I want to tell you this morning about the few, because amongst the few you will see God. The few that are chosen are first of all humble children of God. The few that are chosen bear the fruits of the Holy Spirit. The bible says that you will know them by their fruits. The few that are chosen are unpredictable. They are usually seen as least by people, but God sees greatness, He sees more. The few that are chosen they carry the gifts of the Holy Spirit. They demonstrate more of God than they do themselves. We ought to be seeing more of God even more than what was seen of God in the days of old, in the 1st century church, but we are not. Whether you like it or not what makes the difference is the gift that God has placed inside of you. We need to grow more in The Lord, what He has placed inside of us it really must come out! It’s just not enough to speak from the flesh anymore. That is why the world can no longer take us seriously.Nothing radical has taken place. We should be hearing more of the supernatural, of the unusual, of miracles, signs and wonders. The But as we are getting closer to the end, there seems to be less and less of it. The Philistines, they feared Israel because of what they heard that the Lord had done when He delivered the Israelites from the Egyptians. What is the world hearing about Christians? Joel prophesied that your sons and daughters shall prophesy, your old men shall dream dreams, and your young men shall see visions. Inasmuch as the world needs salvation, the world also needs to witness the power of God. They must testify of His greatness. If we have been created in the image of God, then we must also walk in His ways. We claim we are Christ like but what exactly are we doing that resembles that of Christ? He said He has given us power. We must not forget the importance of what He has placed inside of us for it is for a reason, a purpose to bring forth a change, a revival. The disciples and the apostles were the few that were chosen, and just look at how powerfully the Lord used them for His glory. The religious leaders were the many that were called, and they were without power. If anyone desires to be used by God then they must first be willing to let themselves go. 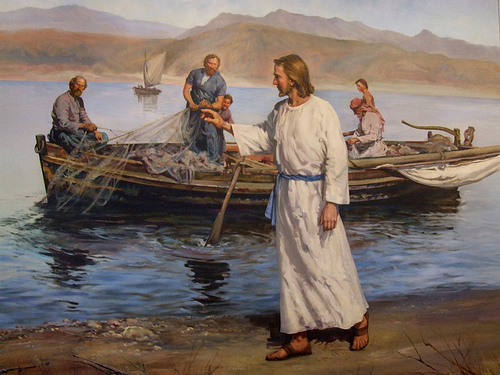 Jesus said to Peter lay down your net and follow me. Where The Lord is going, you just simply can’t take yourself with you. You must die to self. The few that are chosen they preach the gospel,they preach what God has revealed, they are bold and courageous, they stand for righteousness. The few that are chosen they intercede, they pray, and they fast. The few that are chosen just go about their father’s business, they show of God more than they show of their lives. The few that are chosen are mighty men and women of God. The few that are chosen are honest. The few that are chosen they protect that which the Lord has said concerning their lives. The few that are chosen they are wise. The few that are chosen they protect their vision, they protect their destiny. The few that are chosen are men and women of Faith. Faith often makes you feel uncomfortable, and that’s not a bad thing. When we are comfortable, then we become familiar, and familiarity is what causes stagnancy. Are you amongst the few, or are you amongst the chosen? As for me I want to be amongst the few, and I’m praying that He will release that which He has placed inside of me. Be different, be amongst the few, embrace your different ministry, embrace your uniqueness, embrace His gift. Embrace the anointing, the anointing makes the difference. 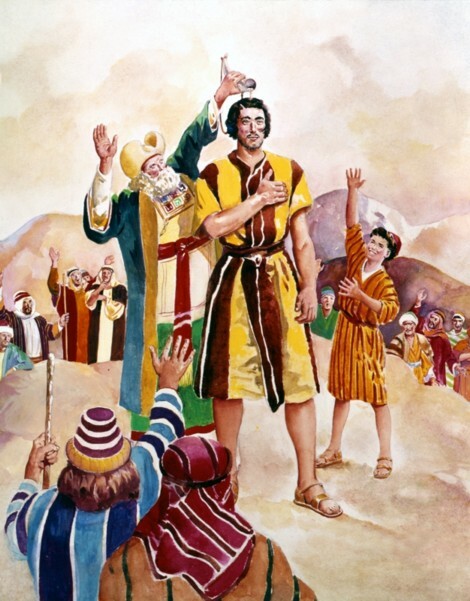 Saul did not become a king until The Lord touched him, and he received the gift of prophecy. Without God we are nothing. Without God our churches are nothing but social gatherings. always learning and never able to come to the knowledge of the truth. We’re sorry Lord for the the thing we’ve made it, when it’s all about You. It’s all about You Jesus. Because truth be told we’ve made ministry a thing, we’ve made it all about ourselves. Search your heart and you’ll know if there’s less of you. God forgive us, and help us to demonstrate the fullness of Your power. I do not believe in a Christianity that exists without signs and wonders. Aren’t you tired of the world mocking God? Aren’t you hungry for more of His power? Are you even on fire for God? Just as much as Faith without works is dead, so is Christianity without power. If only you knew what is going on in the spiritual realm, you would not sit there as a believer and not pray. The few that are chosen, they pray and they pray seriously. An anointed man and woman of God can not afford to be without prayer. The reason why David remained as king longer than Saul is because David knew how to pray. If you do not know how to pray then you better forget about being in ministry. Ministry is not for the faint hearted. Since the days of John the Baptist the Kingdom of God suffereth violence, and the violent take it by force. In these last days it’s just not enough to call yourself a Christian and you are completely unaware of the things of the spirit. Believe me without His power we will not be able to overcome the devices of satan. 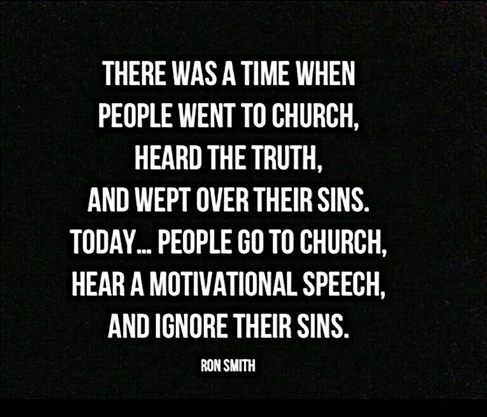 Aren’t you tired of the dry and dead kind of Christianity. I want to be alive in Christ. I want to encounter more and more of God, as many encounters as possible. I want to encounter Him every time I enter into His presence. Basically I want to be amongst the chosen few, the few that see and encounter the fullness of God. I need more you see, I just desire something deeper. That’s His Word it’s deeper, it’s sharper. I need a refreshing, I need to experience something new. My spirit desires more, and is tired of the same old same old. I’m just no longer interested in motivational speeches, I’m no longer interested in the five ways to get your spouse/money message. I’m just no longer interested in that. I want more of God, I want more of His Word. I’ve grown, and I want to grow more in the Lord. That used to be me the lady that used to love listening to the ‘inspirational message’ that would minister to my flesh. 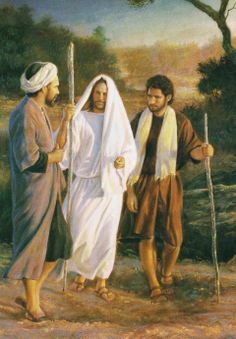 My brother and my sister in Christ there is so much that the Lord desires to do through you, and it needs to be done. Don’t worry about where you are right now, or what so and so is doing. embrace the uniqueness, embrace the supernatural, embrace the power, brethren just embrace that which The Lord has placed inside of you. I admire men and women of God that embrace their uniqueness, they are not afraid to embrace the anointing and they do not apologise for it. Just don’t desire to be apart of the many that are called, desire to be apart of the few that are chosen. When you’re amongst the chosen few you refuse to go ahead of His leading. The chosen few are unashamed. The Lord makes us brave. The chosen few are like Jeremiah the young prophet. The Word takes control, and they just can’t but help to speak it forth. Those that the Lord has chosen are consumed by His Living Word. When The Word comes from God not only will it minister to your spirit, but it will also put your flesh under subjection. When you are chosen, your inspiration is The Holy Spirit. For many are called (invited and summoned), but few are chosen. God richly bless you, be encouraged, continue to be on fire for Him, and desire to see the fullness of His power. dedicating it to my amazing, anointed, encouraging man of God.